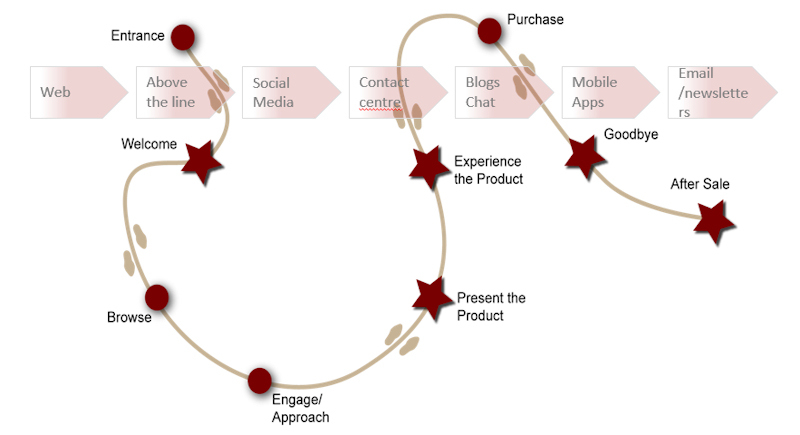 From the very first contact with your organisation, through to the last, every single touchpoint forms an impression on your customer that either adds value to your brand or destroys it. 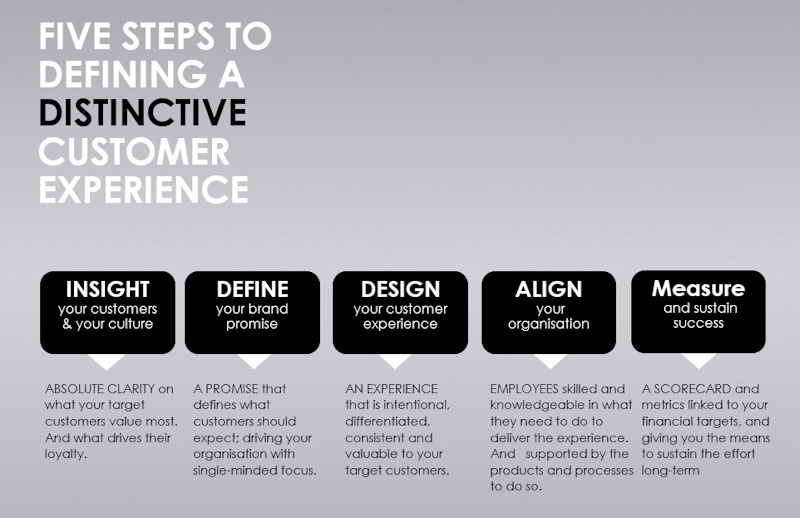 The sum of all these touch-points is the customer experience that defines your brand. 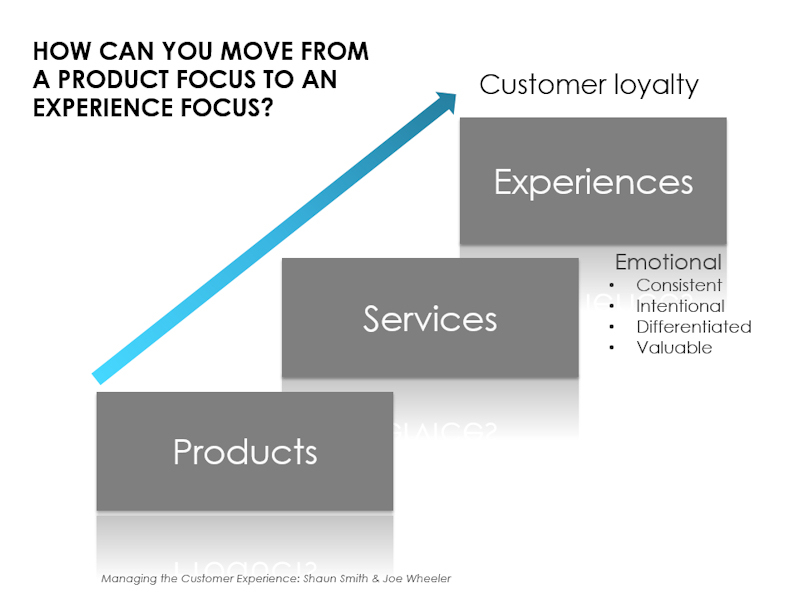 For some companies, the experience is intentional; for others – it’s left to chance. 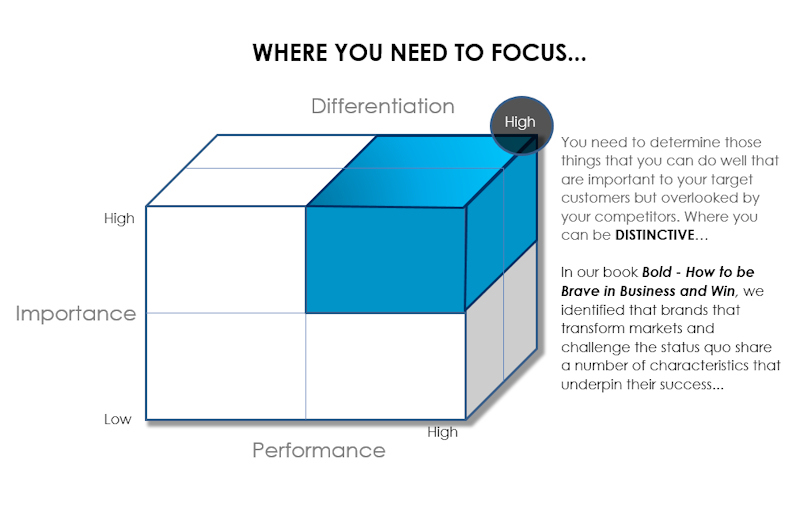 Our sole focus is to help companies define a customer experience that is consistent, differentiates your brand, adds value to your customers and creates advocacy. You see it every time you go out shopping (that’s if you still go out shopping), people walking around shops with their heads stooped over staring at their smart phone. Now they are either trying to entertain themselves because they are finding the whole experience a bit dull or they are often searching the internet for product reviews, price comparisons and any deals they can get. Shopping is now a multi-channel experience where we have quickly adopted technology that allows us to seamlessly move between physical, digital and social environments. Now I say seamlessly because this is what the customer is hoping for, however, the reality for most organisations is somewhat different with disconnected systems, disparate tracking and a whole lack of connected customer experience. “Smith+co worked with us to help us further define our customer experience strategy and outline a route map for delivering it. The workshop they conducted exceeded both mine and my board's expectations, and delivered a fantastic result. Not only are they experts in customer experience, but they deliver creative and innovative thinking and are a huge asset to any business change initiative."